NINE-year-old Alex Liddle is proving even the smallest people can make a big difference. The Year 4 student had an idea to help struggling farmers last month, after seeing the impact of the drought first-hand with his Drought Angel mum, Carissa. "I was just driving to Brisbane in the car and then I was thinking of Drought Angels and then I was thinking of football so then I was like 'we should bring some footballs to farmers'," Alex explained. 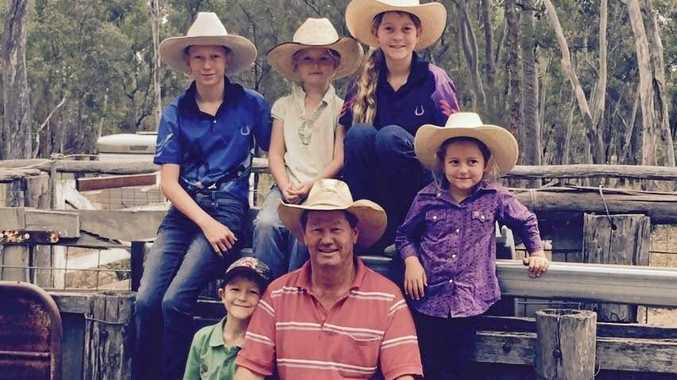 He decided he would write to the Queensland Rugby League to ask if they could donate some footballs for farmers' children. Within days, they responded, calling Alex to tell him they'd donate 50 footballs. "I was happy, I think that's too small a definition, I can't think of a bigger one," Alex said. The footballs were hand- delivered to the Drought Angels last Friday, and Alex was there to receive them. For Queensland outback QRL central division operations manager Peter Rafter, the donation was a "no-brainer". 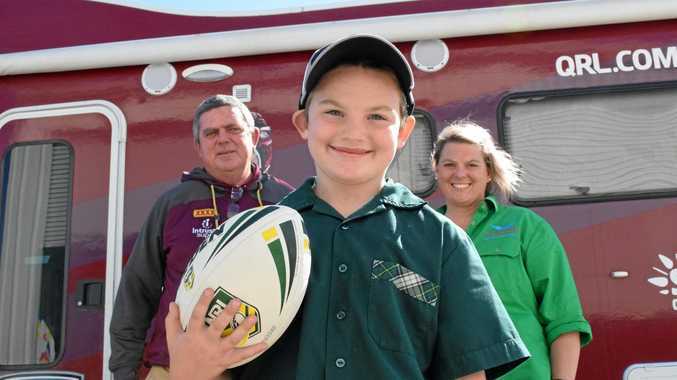 "The QRL is just as concerned about the communities in the drought areas as what everyone else is and it's so good to see a young kid like this, nine years of age, show just as much concern as everyone else does," Mr Rafter said. "If we get kids like Alex in rugby league, rugby league in the future's going to be pretty safe out here." Drought Angel Jenny Gailey said the footballs were likely to find homes in Morven, on the Drought Angels December run. The drought runs are a chance for farmers to have the day off while the Angels pack their cars with goods, provide meals, children's entertainment and some pampering, she said. "They get a rural goody bag so, normally, we do hay and dog food and that type of thing, then there's also the hampers and the Christmas stuff and there's water and they usually go home with lots, lots of stuff," Mrs Gailey said. And now, thanks to Alex, they'll head home with a football too.